Steve Blanchard, while not born with a camera in his hands, began taking photographs in early childhood. He completed his first commercial work even before his photographs appeared in his high school yearbook. While earning an engineering degree at Rensselaer Polytechnic Institute, he was photography editor of the RPI yearbook, photographer for the college newspaper, and cinematographer for the football team. His photographs have won awards from the Beacon Hill Times, the Berkshire Museum Camera Club, and the Quality Printing "A Closer Look at the Berkshires" calendar and have been exhibited at the Stockbridge Library and the Clark Art Institute's Berkshire Impressions show. 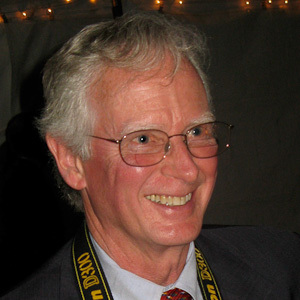 His photographs have appeared in Boston and Berkshire newspapers, in Stockbridge Ramble, a book published by the Stockbridge Library Association in 2004, on the cover of the 2004 issue of the Berkshire Review, in brochures and programs for the Yellow Barn Music School and Festival, and in brochures, programs and newsletters for Emmanuel Music in Boston. Many advertisements and catalogs for local art galleries contain his photographs of art works. Steve is the Treasurer and past President of the Berkshire Museum Camera Club (BMCC). He led the Pittsfield Then and Now project, a Berkshire Athenaeum and BMCC collaboration that culminated in an exhibition of historical and contemporary photographs at the Berkshire Athenaeum. He was the curator for the Berkshire Museum's 2004 show Photographer and Friend: The Photographs of Bartlett Hendricks, and led the year-long Barns of Berkshire County project of the BMCC, which concluded with a display of barn photographs at four branches of the Berkshire Bank and at the Williamstown Rural Lands Foundation. "The New Resort District" a 1932 booklet about the Taconic area of NY, scanned into a 200 Mbyte PDF file. I have stopped creating my own websites for my photos, since there are so many much easier ways of showing photos. The focus of my life is returning to photography. I have pretty much switched to digital. My film cameras and my first digital camera (an Olympus C700UZ) have been retired. I am now using a Nikon D300. I take lots of family photos, travel photos, and some fine art photos. I take photos of artwork for artists and galleries. I have a MacBook Pro to which I have attached a Canon PRO9500 printer, which makes pretty good photo-quality prints. I'm learning to get Lightroom and Photoshop to do my bidding and produce good prints. Some images of mine were hanging in the Stockbridge Library during May 2002, October 2004, June 2007, and January 2010. I had images hanging at the Wellfleet Library in April 2008. I had images hanging in the Gallery at Melbourne Place in April 2007. I was a member of the Berkshire Museum Camera Club which has competitions approximately every other meeting. I have placed in several of the competitions. I entered the Clark Art Institute's Berkshire Impressions contest. Therefore I have had three photographs hanging at the Clark Art Institute along with the other 355 entries. I was on the November 2001 Boston Trek run by the Mentor Series, sponsored by American Photo and Popular Photography.